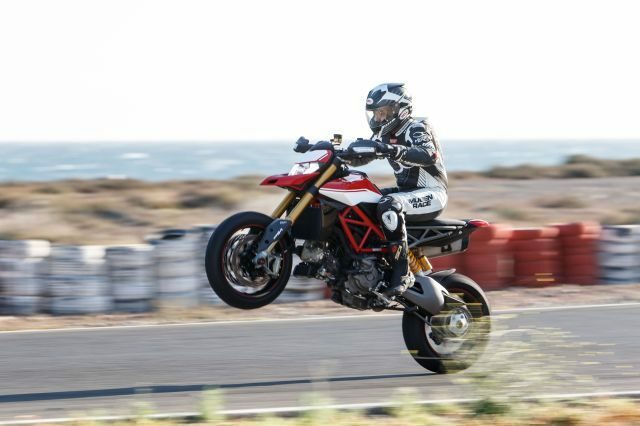 Ducati have updated the most mischievous bike in their line-up, and we travelled to Spain to experience the dedicated hooligan that is the new Hypermotard 950. 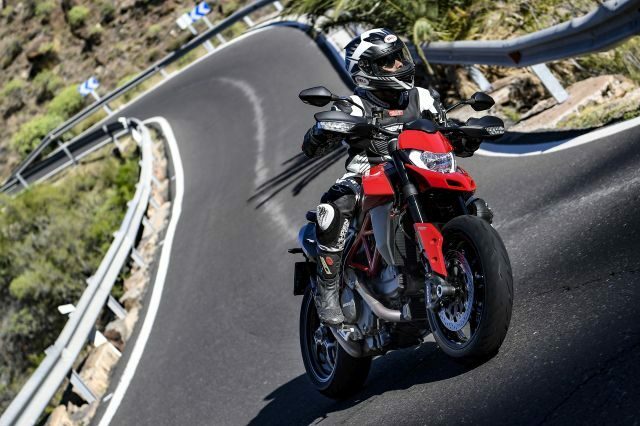 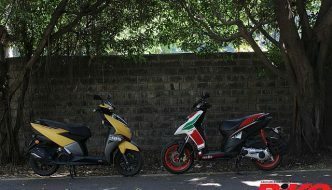 Ducati have, for 2019, refined several parameters of their motard-styled bike, while retaining the tall, slim and stripped-down look and roguish appeal that have been winning hearts since the first iteration was introduced nine years ago. 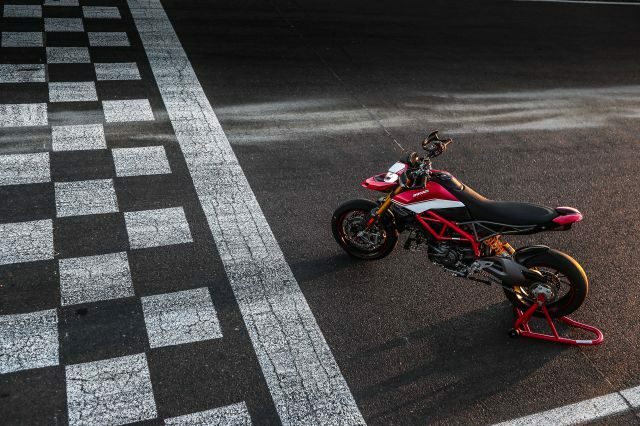 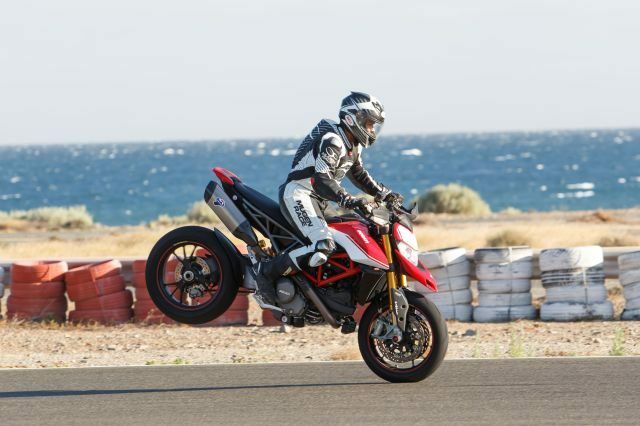 The 2019 Hypermotard 950 is powered by a 937-cc Testastretta L-Twin that makes 114 PS at 9,000 rpm and 96 Nm of torque at 7,250 rpm. 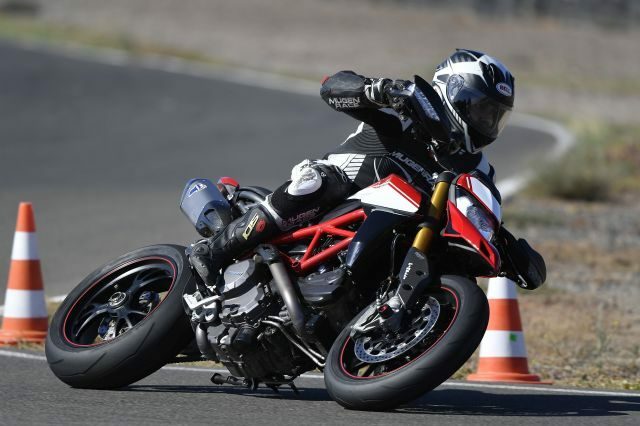 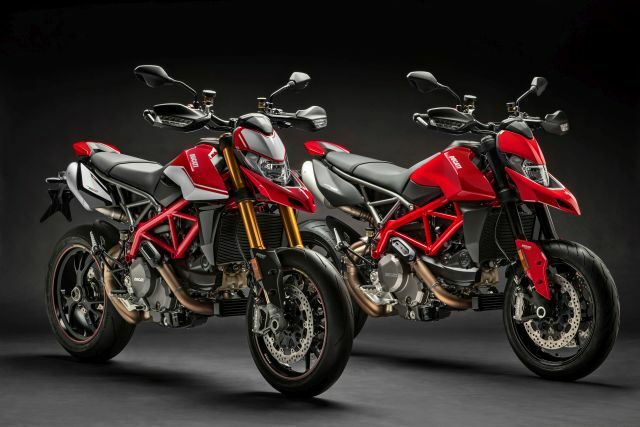 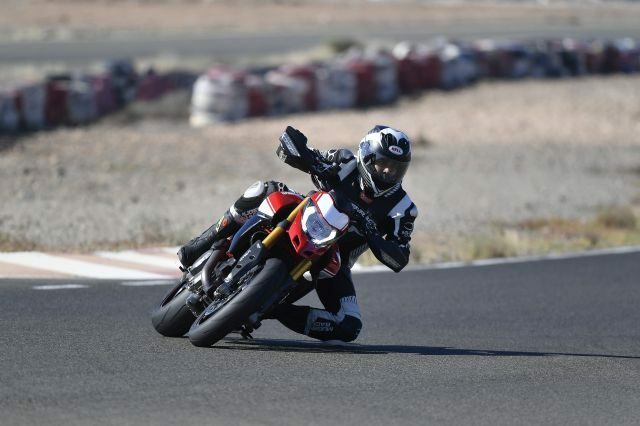 These figures are similar to those of the Hypermotard 939 that was produced and sold from 2016 to 2018, but the new bike gets revised pistons that have upped compression ratio from 12.6:1 to 13.3:1, and larger 53-mm throttle bodies for better breathing. 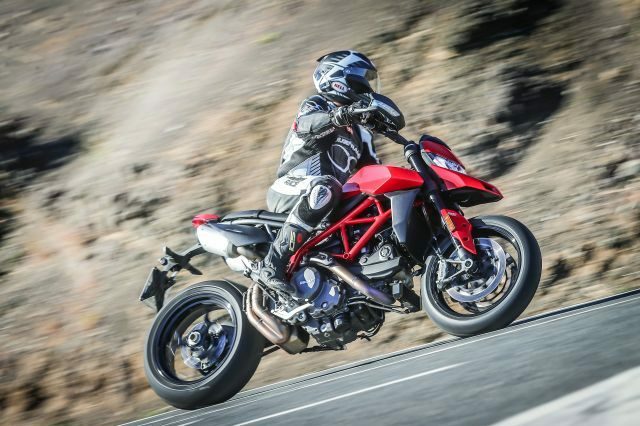 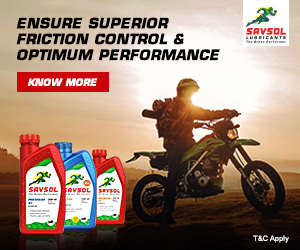 The result is a meaty torque spread with on-demand acceleration available from as low as 3,000 rpm in any gear, and an engine that pulls eagerly all the way to over 9,000 rpm. 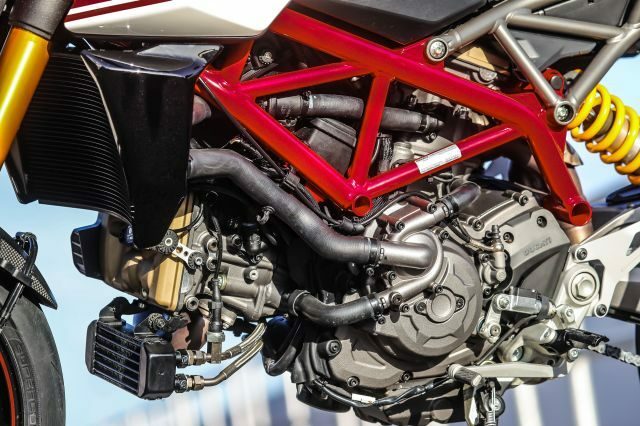 The L-twin engine is suspended from a bright red trellis frame in true Ducati style, and the bolted-on rear subframe is as slim as possible to maintain the lithe profile of the bike. 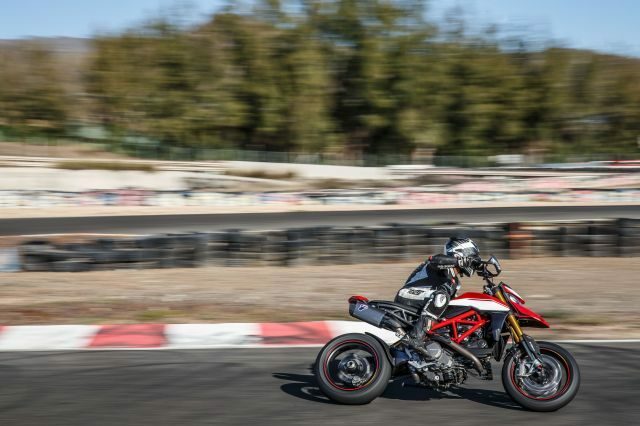 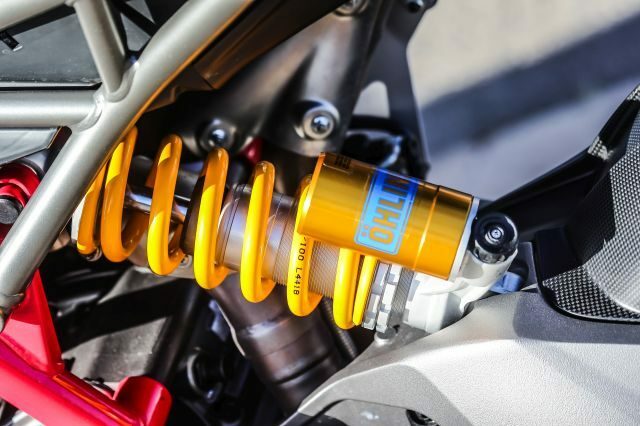 Two versions of the new bike will be available; the standard Hypermotard 950 gets a 45-mm, fully-adjustable Marzocchi fork up front and a Sachs monoshock at the rear, while the track-focussed Hypermotard 950 SP gets a dedicated red and white colourway, fully-adjustable Öhlins suspension at both ends, forged Marchesini wheels, quick-shifter, super-sticky Pirelli Supercorsa SP tyres and a few carbon-fibre bits. 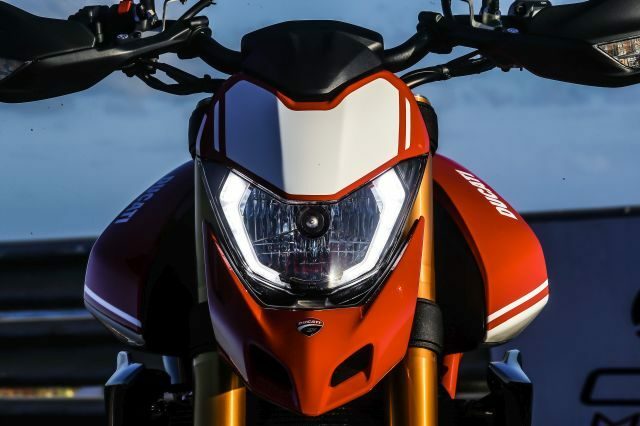 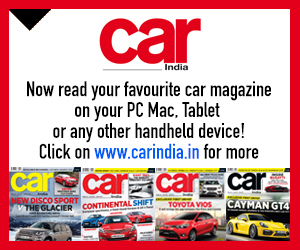 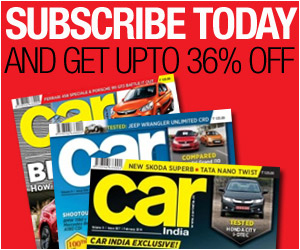 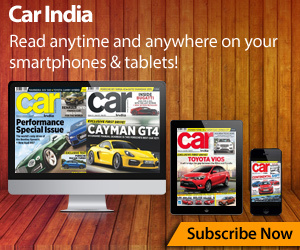 Both variants get 320-mm discs gripped by radially-mounted Brembo Monobloc calipers, and actuated by a radially-mounted master cylinder with a reach-adjustable lever up front, supplemented by a 245-mm disc and two-piston caliper at the rear. 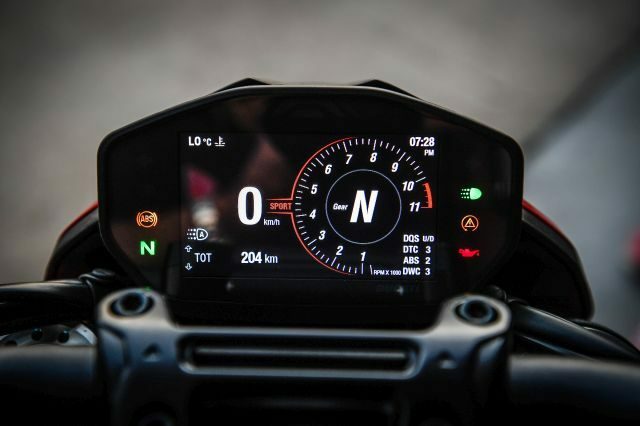 The inclusion of a Bosch six-axis inertial measurement unit (IMU) means that the electronic safety net is now lean-sensitive, and the full-colour TFT rider interface follows the style of the unit first seen on the Panigale V4. 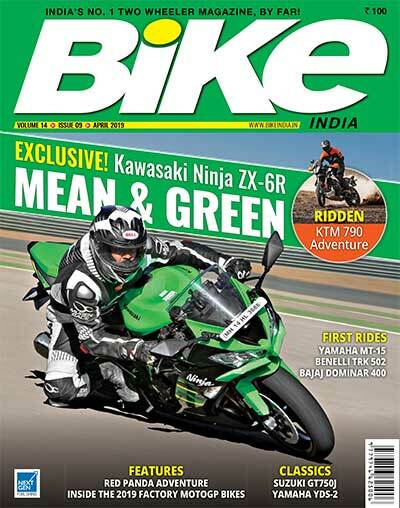 We spent a sufficient amount of time on both bikes during the international press test earlier this week, and will be bringing you detailed road and track reviews in our March issue. 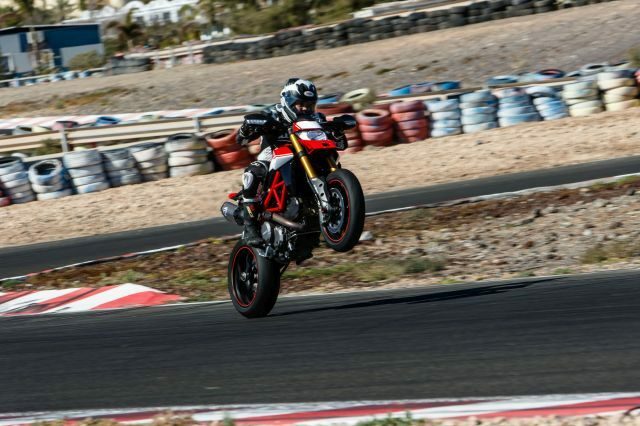 Until then, enjoy this gallery.